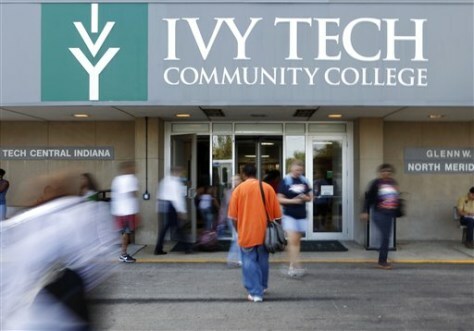 Students move through the entrance to Ivy Tech Community College during a class change in Indianapolis, Sept. 16. With droves of displaced workers competing with traditional students looking for an education bargain, community colleges in many parts of the country are jammed. Yet President Barack Obama wants an additional 5 million students to graduate from community colleges by 2020.